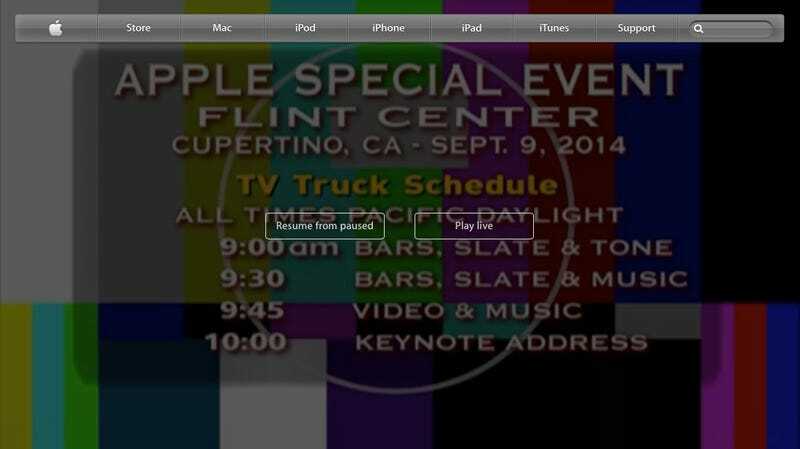 Apple's livestreams are never really that reliable, but this time I've got a Japanese Chinese (?) voice over (And I can't find an off button) and it keeps cutting out with these damn SMPTE colour bars. I normally stop watching the stream after about 10 minutes and here I go again, not gonna bother, this time it's just worse. That being said at least the design of the page is pretty good and they have text/pic in live instead of just the awful stream.